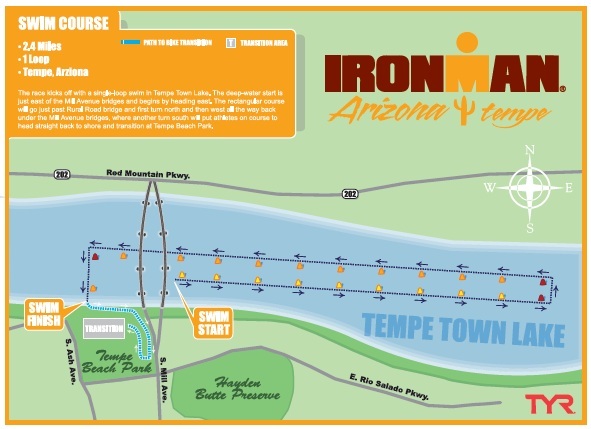 Arizona swim venue is known for being fast; cool temperature, flat water and no current. Flat and windy on the these open roads in Arizona. This is a 3 loop bike course with the turnaround 100m from transition. Forecast for 11/18/12: Sunny, with a high near 75. East southeast wind around 6 mph becoming west southwest in the afternoon. 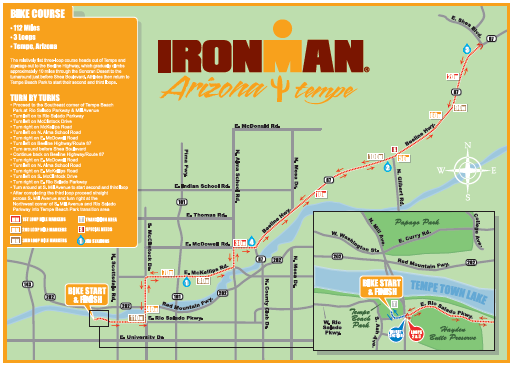 Three loop run winding around Tempe Town Lake and Papago Park. This course is flat with no shade. 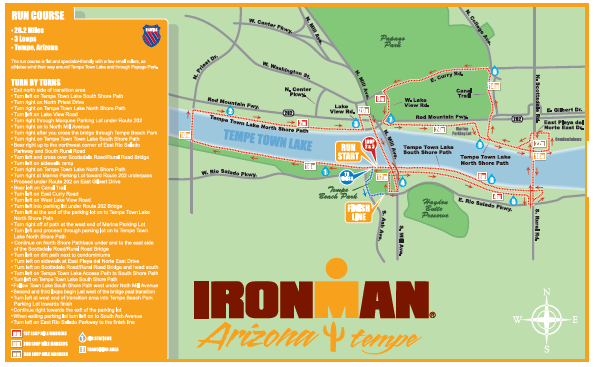 Online Tracking available starting at 6:30 a.m. MST @ IRONMAN.